And in 5 hours you’ve made this fantastic quilt! 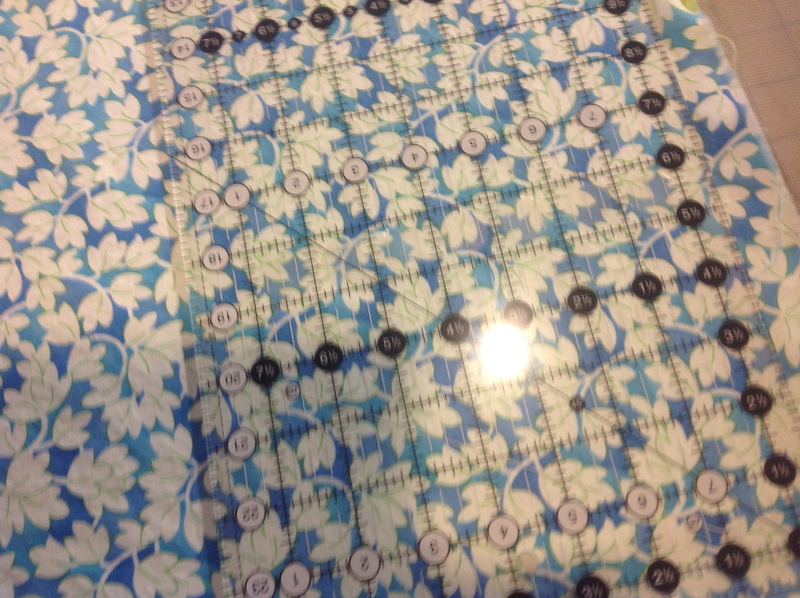 Well, when I first carried around the large flower print for 30 minutes, then had to keep adding colors (this is prior to picking the pattern), I should have known it would be a bit longer. 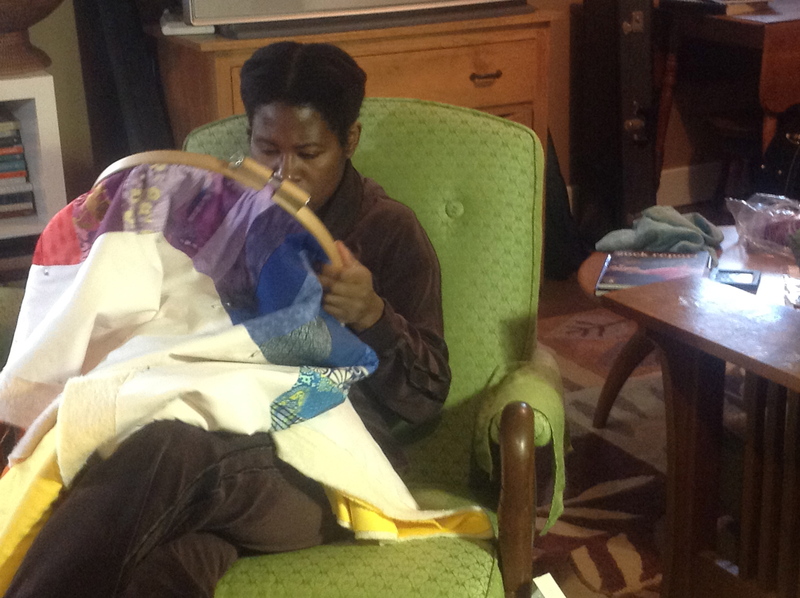 I invited my knitting buddy Mimi over yesterday to spend the day quilting. I knew that having someone here would motivate me to keep at the project for a longer period of time (it also motivated me to pull out an almost-finished, languishing quilt project after I am done with this). The cutting took me about 2 hours, I did not cut through all 5 layers at once as suggested, my mat was not large enough, and neither my confidence in my rotary cutting abilities. Mimi went with me to the craft store to get a new rotary cutter. I needed a new blade anyways, and decided that a larger diameter would be better. 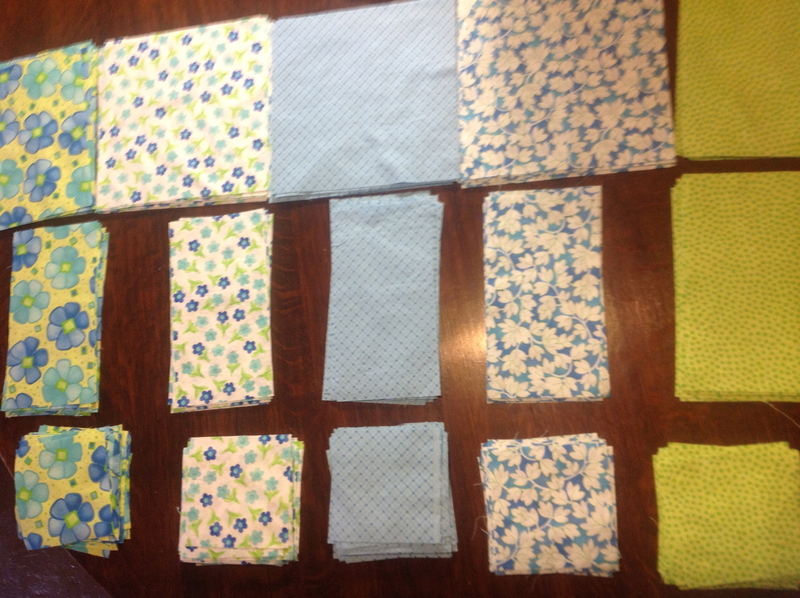 After cutting, the instructions had you put the fabrics into piles according to size and fabric number. It took more time than one would have thought, but made the piecing part so much quicker. Sewing was about 3 hours to complete 2 sections yesterday, and about 2 hours for the remaining 3 today. Not bad so far, 7 hours. 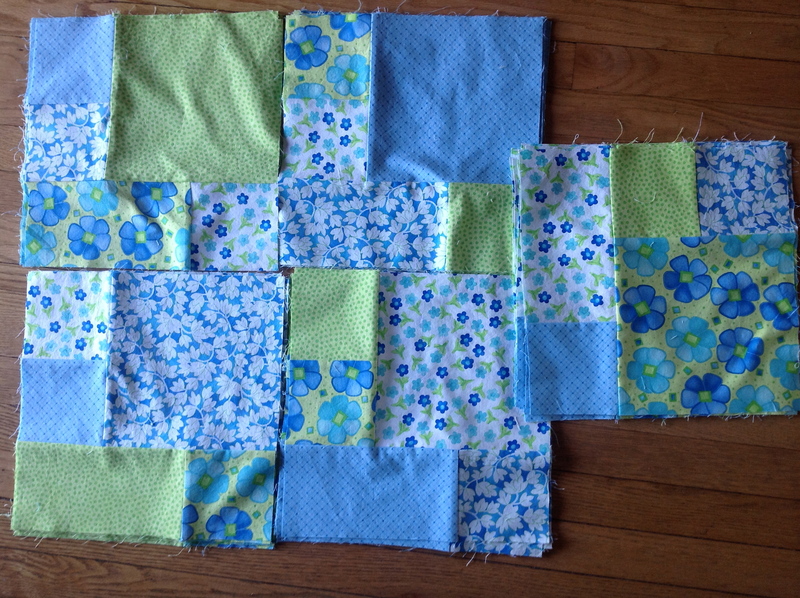 Now I need to place them, sew the blocks together, and add the 2 border sections. I am so proud of you on starting this and it seems to go together quickly–can’t wait to see the finished project. 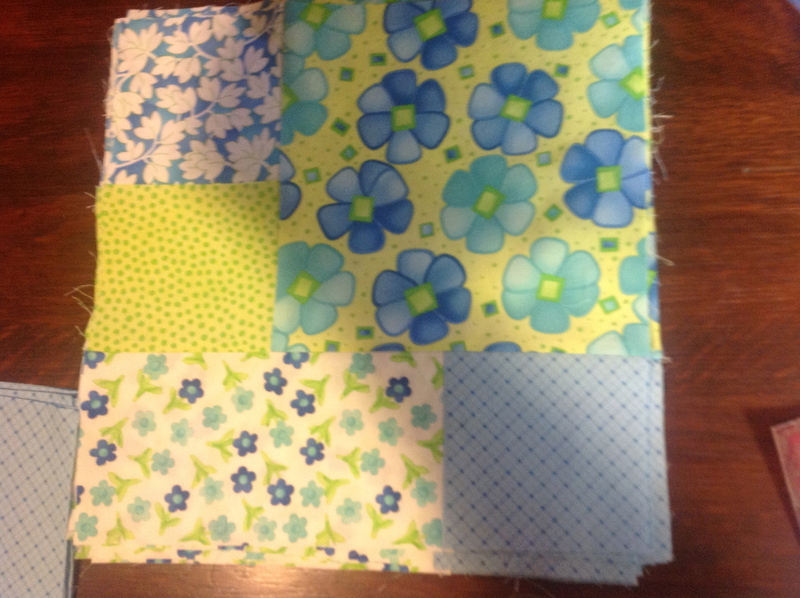 I still need to open my big box of material to find something that works with this quilt. Most likely I will have to buy some new material! The advantage of the quiet iPad camera… You are too cute to shy away. Thanks for joining me in a quilting day.